IBA develops and markets leading-edge technologies, pharmaceuticals and tailor-made solutions for healthcare with a focus on cancer diagnosis and therapy. Thanks to its scientific expertise, IBA is also active in the field of industrial sterilisation and ionisation. IBA Group is present worldwide with over 2,000 staff in 40 locations. 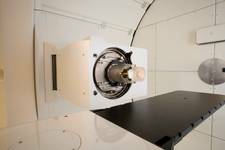 IBA has unique expertise in designing cyclotrons and in the production and distribution of radiopharmaceutical tracers, which are used every day in thousands of hospitals worldwide to quickly and accurately detect cancer, neurological and cardiac diseases. IBA also offers drug-discovery solutions and in vitro diagnostics. IBA is the undisputed leader in particle therapy, acknowledged to be the most precise and effective clinical radiotherapy method in the selective destruction of cancer cells. 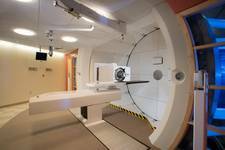 To date, more than 11 world-renowned medical institutions have set up a Particle Therapy Centre with IBA. IBA develops innovative, precise and high-quality equipment for use in hospitals and by industry partners worldwide. IBA offers a full range of measuring instruments and software that enable radiologists to perform the necessary checks and calibration procedures. 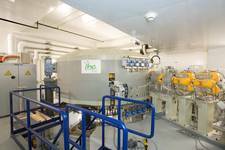 IBA designs electron accelerators and high-power X-ray solutions used in many industries to sterilise medical devices, cold-pasteurise food products and improve the properties of polymers. Over 220 of IBA's industrial accelerators have been in use worldwide for several decades.